Selecting Measures and Designing Strategies for Integrated Flood Management: A Guidance Document was presented by APFM Support Base Partner Deltares at the 7th International Conference on Flood Management, which took place in Leeds, United Kingdom from 5-7 September 2017. 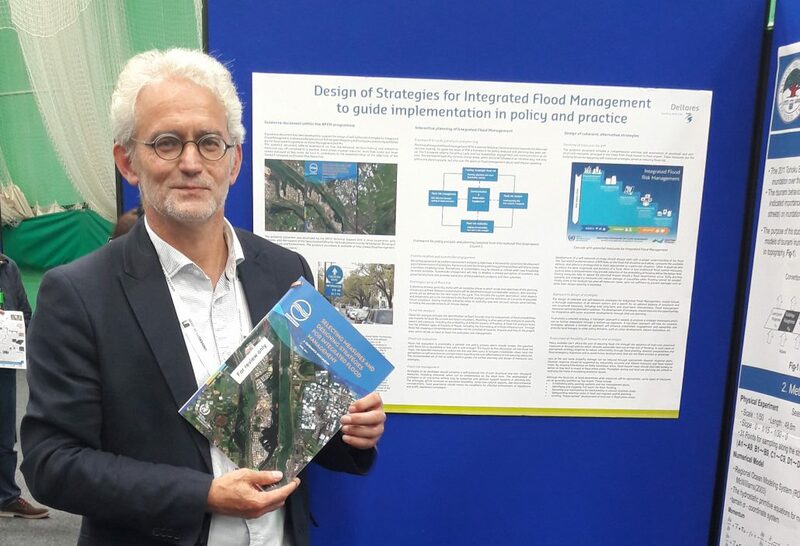 Herman van der Most, who co-authored the publication, presented the Guidance Document at a poster session on policy and governance for resilience. ICFM7 was aimed at examining the issues and challenges affecting flood management, especially the need to build resilience into future planning. Other themes explored during the conference were engineering for resilience, impact of climate change and urbanization, and flood prediction and forecasting.